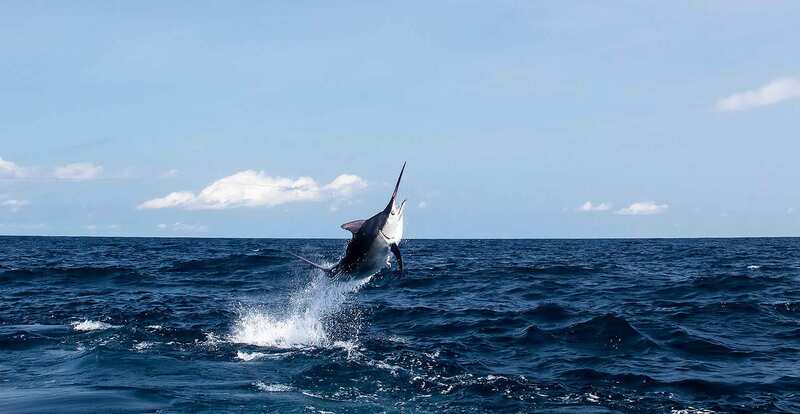 Try Marlin Fishing in Panama with Captain Chichi, you know you are in for an adventure; especially with a nickname like Crazy Horse. Panama Marlin Fishing Captain Chichi is regional famous. Marlin Fishing Panama students staying at our Island Resort often seek out our captain to master exploration and fishing from San Diego to Panama. With 42 years of experience, it comes as no surprise. – And magnate Carlos Slim. The International Game Fish Association has honored him 31 times as captain, three of those earned in Costa Rica and the others in Panama. He was also awarded Best Sport Fishing Captain of the Year in 2017 at the first annual Tuna Fest. His genuine enthusiasm for the water and the mysteries it holds will stay with you long after you disembark, changing the way you connect to the sea forever. In the picture: Captain Chichi out Fishing with Former President George W Bush.